December, it’s the most magical time of the year that is full of wonderful gifts and joyful time! I was invited to the Christmas Indulgence Gathering party by Clinelle and Physicians Formula, to celebrate this festive of joy and discover the beauty secret of the latest skincare and cosmetics collections. Launching in December 2017, Clinelle UV Defense Ultra Protection Mist Spray SPF50, PA++++ will be the first UV Mist Spray with 5-in-1 protection against UVA, UVB, Blue Light, Electromagnetic Radiation and Pre-Mature Aging. As much as all of us want to complete our daily skincare regimen, nothing is more important than having a good hydration range of products that continuously cares and protects all layers of our skin. 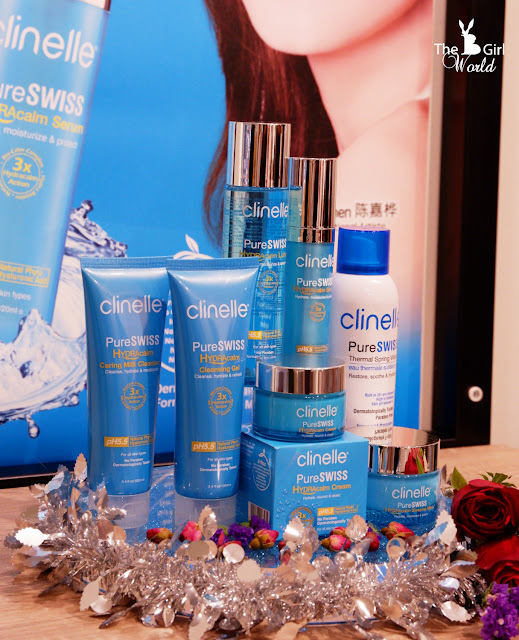 Clinelle introducing range of skincare products that could lock in moisture up to 72 hours. This specific range comes with 6 SKUs that effectively restores skin health and penetrates deeper into the skin for longer lasting hydration. Natural Hyaluronic Acid (HA) - Penetrates deeper into skin to replenish & lock in moisture for 72hrs. Pure Swiss Thermal Spring Water - A hydra booster that instantly hydrates & revitalizes skin that is also maintained at a level of pH5.5 for optimum skin health. Bio-Calm Complex - Calms, restores and strengthens skin defense system. The complete range of consists of Caring Milk Cleanser, Cleansing Gel, Lotion, Serum, Cream and Sleeping Mask. All products are formulated and manufactured in France with natural ingredients that deliver a new level of efficacy and safety. 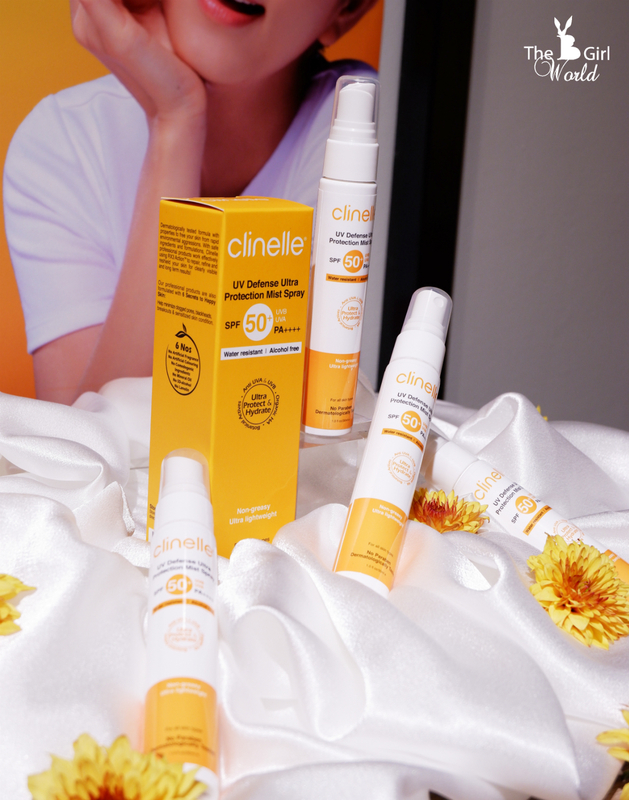 Clinelle is available at AEON Wellness / Supermarket, Caring, Guardian, Watsons & selected independent pharmacies nationwide. Visit their Facebook page or Clinelle website at www.clinelle.com to keep abreast of Clinelle’s latest news and events. The #InstaReady line consists of face primer, concealer and setting spray; everything you need to create a flawless, base makeup in just a snap! Featuring once again the #InstaFilter technology, a proprietary blend of high-tech formula that works instantly to mattify, blur, and visibly retexturize skin. #InstaReady is made using ultra-lightweight textures with the latest in pigment technology that scatters light across the skin for a radiant, pro look and finish. Perfecting coverage and glow has never been easier to achieve thanks to a line-up of products that work overtime for stunning, photo-ready skin. Created for the selfie-obsessed, and anyone who wants to look picture-perfect in photos, Super BB #InstaReady is the 1st-ever line of makeup that allows you to create the perfect finish for flawless-looking #Selfie-ready skin – anytime, anywhere! Mattifying & Pore Balancing Spherical Beads: Patented powders visibly reduce the appearance of pores, while creating a smooth matte finish on the skin. Dual-sphere Technology: Innovative particles absorb oil, but not moisture, so skin remains perfectly balanced. Color Filter Pigments: Spherical pigments absorb, reflect and diffuse light over the skin, creating an airbrushed effect. High-Tech Polymers: Newest polymer technology delivers a silky feel and finish, creates an airbrushed finish and extends the wear of makeup. Super BB #InstaReady Makeup is made using ultra-lightweight textures with the latest in pigment technology that scatters light across the skin for a radiant, pro look and finish. Perfecting coverage and glow has never been easier to achieve thanks to a line-up of products that work overtime for stunning, photo-ready skin. 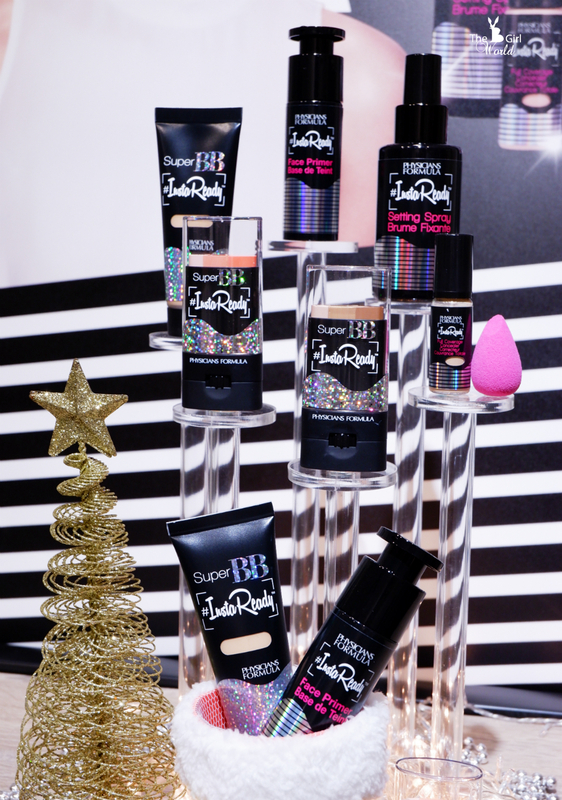 Now is the time to express your #Selfie in the best possible way thanks to the Super BB #InstaReady Makeup Collection. Suitable for all skin types, Super BB #InstaReady is Gluten-and-Paraben free, Non-Comedogenic, Hypoallergenic, Fragrance Free and Dermatologist Approved. 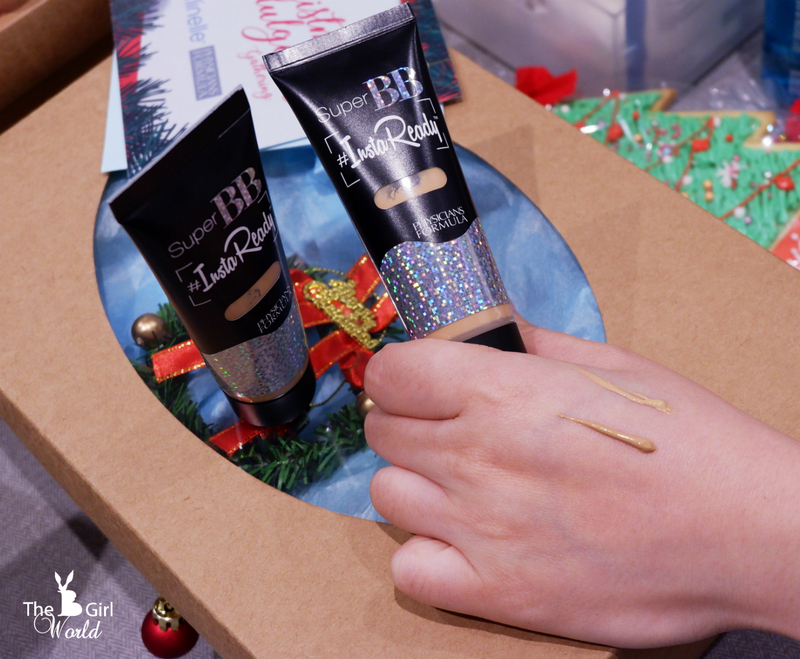 A high-performance Beauty Balm BB Cream designed to help achieve a seriously sensational Selfie! NEW Super BB #InstaReady™ Beauty Balm BB Cream SPF 30 is the 1st ever BB Cream that allows you to create the perfect finish for Selfie-ready skin anytime, anywhere! Comes with SPF 30 Broad Spectrum UVA/UVB protection for even the most sensitive skin. Extended wear polymers deliver a glow that lasts from sun up to sun down. Multi-tasking, all-in-1 InstaReady Beauty Balm BB Cream SPF 30 neutralizes skin-tone imbalances, minimizes shine and visibly reduces pores, instantly hiding imperfections, and smoothing the appearance of fine-lines while protecting with SPF 30. Ultra-lightweight formula glides on effortlessly, instantly smoothing and rebalancing skin with dual-sphere particles that absorb oil but not moisture for perfectly balanced skin and a smooth semi-matte finish. Complexion is instantly selfie-ready! 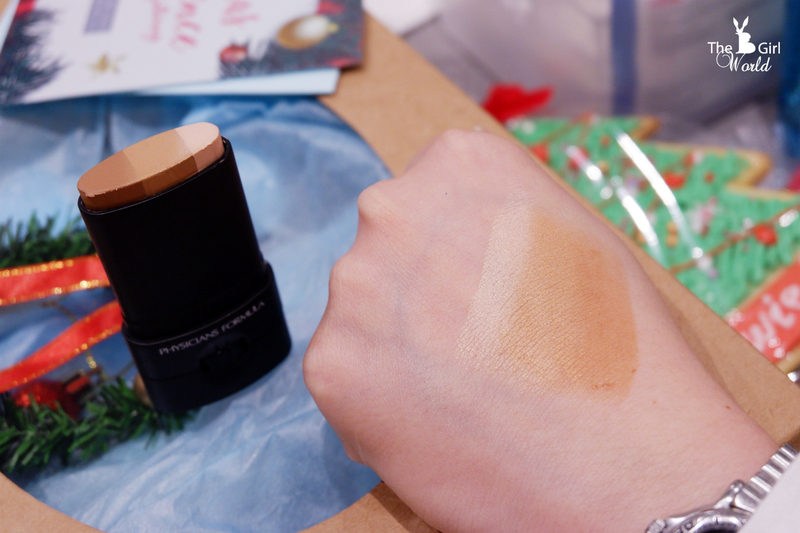 Super BB #InstaReady Contour Trio BB Stick SPF 30 is the 1st ever contour makeup stick. Multi-tasking all-in-1 pixel perfect BB Contour Trio Stick glides onto skin effortlessly, instantly contouring and adding definition to your face. Formulated with InstaFilter Technology, a proprietary blend that instantly diffuses light, blurs imperfections and retextures skin, while protecting against UVA/UVB damage with broad spectrum SPF 30, for a perfecting, professional finish. 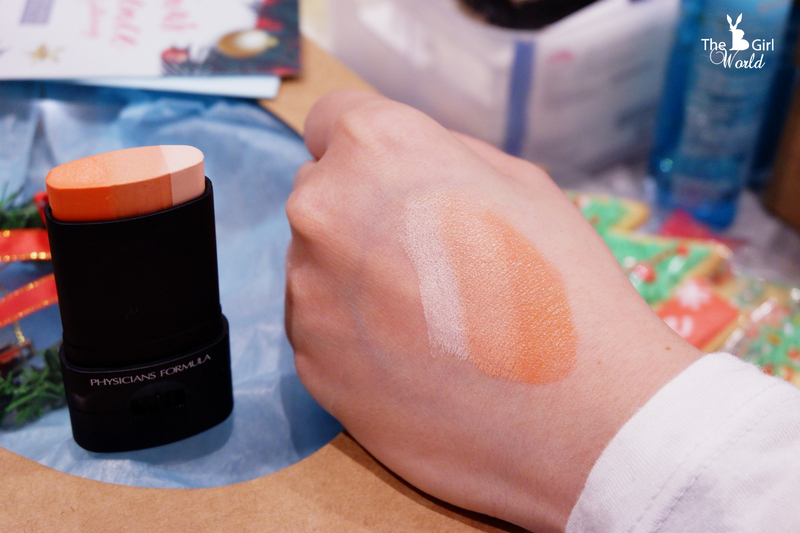 · Blush Filter Trio to highlight, define and add a pop of color for perfectly chiseled cheekbones. Now, the professional technique of contouring is completely demystified with a touch-and-go makeup tool that effortlessly adds definition to the face. Velvety-soft texture instantly melts into skin, rebalancing the surface with dual-sphere particles that absorb oil but not moisture, creating a smooth, skin-perfecting finish. Physicians Formula collection is exclusively available at Watsons Malaysia. 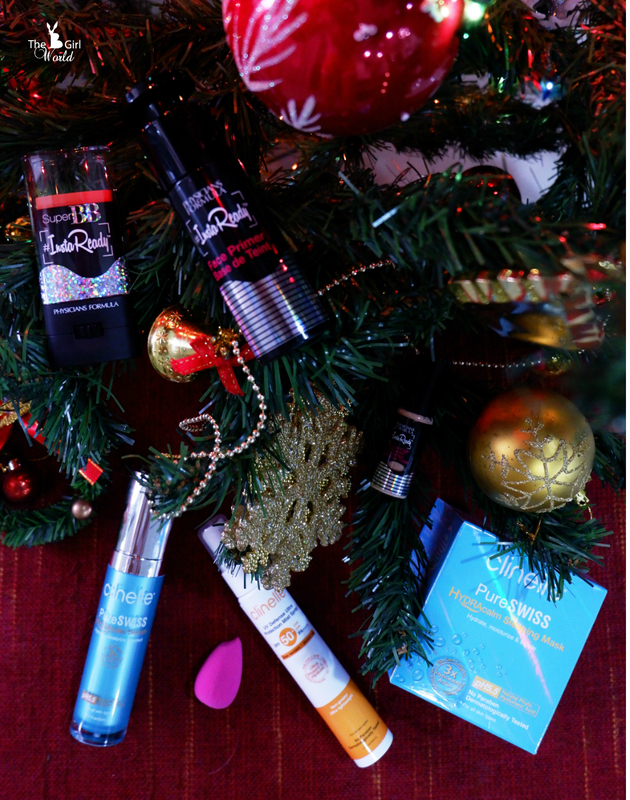 We were pampered with a lot of X'mas delights, beauty tips and surprise gift, thanks for having us! Merry Christmas!